I have been having mystery chronic shoulder pain for three weeks. There was no trauma that I can recall. Saw my PCP yesterday, who ordered an X-ray that didn't show any dislocation, fracture or calcification. I can't get in to an orthopedist for a month. Is there anything I can do besides heat and meds? The PCP was shruggo if I should stretch or rest it. I have an Rx for tramadol from an old surgery but it makes me stupid and sleepy and suppresses my appetite. My PCP couldn't think of a better alternative but he will refill the Rx if I ask. Heat works temporarily & I've been taking long showers and using a heating pad. PCP has told me not to lift anything heavy (LOLOL I live alone and need to eat and do laundry so this is not happening) but other than that he was not any help. Any advice until I see the ortho in a month? Physical Therapy? Some physical therapists will see you without being referred . . .I did that when I had a bout of piriformis syndrome. Something like dry needling might help, along with all the other stuff in their arsenal. Frankly it would be my first stop. I would assume you have a rotator cuff tear somewhere and follow whatever conservative online medical advice you can find for taking care of it. if that's not what it is, this won't hurt. use that arm only for assisting your other arm and not for any up-and-over-your-head movements. if this means accidentally flinging your garbage and laundry all over the building instead of into the proper receptacles, endure it as well as you can. I have one of those (rotator cuff tear) myself in a different part of the shoulder, and nothing has helped in any way except a cortisone shot, temporarily. physical therapy has been a comforting placebo that makes me feel like I am being responsible but not very helpful. do it anyway if you have access to a provider. hold out until your next appointment and then get them to fill your extremity with beautiful, beautiful cortisone. they will either tell you surgery is a good idea or totally unnecessary. if you get a second opinion, they will tell you the opposite, no matter what the first one told you. oh, also, alternating ice packs with heating pads sometimes helps more than heating pads alone. this is not scientifically based or anything, it just feels nice. How's your Neer's test? Sounds like from your description it might be positive? I think people here are a bit skeptical of them, but maybe try a chiropractor? I draw for a living and developed bad shoulder pain, and after a few chiropractic sessions I feel much, much better. The chiropractor I went to was referred by an artist friend who was unable to work for TWO YEARS due to arm pain (she had gone to doctors, physical therapists, tried all sorts of medical advice/remedies, taken X-rays, etc) and this ended up being the only thing that worked for her. I had never been to a chiropractor before and I was basing my trust on her recommendation. I also went to my pcp just in case, but didn't find it particularly helpful. Some people think chiropractors are quacks, but if the pain ends up going away, does it matter? Esp if X-rays have already ruled out more serious injuries. I've had this and I think PT will fix this. Prevail on your PCP to bypass the ortho and prescribe PT. I had similar pain about a year ago. I couldn't raise my left hand above my shoulder without pain in the shoulder. I went to a physical therapist. It ended up being weakness in the muscles of my rotator cuff. I no longer have pain in my shoulder when raising my arm. Here's a comment on reddit that explains some exercises. 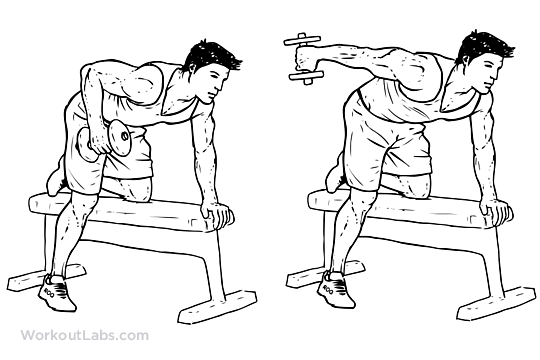 Your shoulder should not hurt at all when doing these exercises. Here's a link to a guy that will give you some self message directions for helping to alleviate the pain. Try switching to ice and round the clock ibuprofen to stop the inflammation. Don’t lift anything with that arm. My PCP was unsure how to diagnosis ankle pain I was having, and sent me to a PT for treatment, explaining that PTs are actually pretty good at diagnosis, too, and have all sorts of tools for addressing pain and functional loss. I'd push the PCP to refer you to a PT in addition to an orthopedist, so that you can be seen by whichever has an opening first. The PCP can give you a vague diagnosis such as tendonitis without being inaccurate, leaving the door open to something more specific later. Explain your predicament to the PCP — that you're having difficulty with ordinary living — and emphasize that you need treatment now, not after a month + however much time it takes to get a PT appointment after the orthopedist sees you. If you can afford it pay the PT out of pocket until you get a referral. It would be a few hundred dollars. Even if the orthopedist found something, he’d probably refer you to PT for conservative management before shooting you full of steroids or cutting you open (the tools in his arsenal). I would also try ice. You need a big hulking ice pack that you have to order online, like a Chattanooga ColPac. Yes to a shoulder specific icepack with velcro so you can wear it and move. Might also try alternating ibuprofin and tylenol. And lots of pillows strategically wedged for sleep. It sounds like a rotator cuff injury. PT helped me until it wasn't enough and I had surgery. 3 years later the joint is degenerating further - ice and pain meds and careful exercising to strengthen the non-inured muscles are letting me maintain. I work with a trainer who is particularly knowledgable about injuries and that has helped a lot. shoulder pain I have had a similar injury, and this Family Doctor link provided the most useful description of my injury and suggested exercises. The arm hurts at night due to decreased blood flow to the area, so sitting upright and massaging it for a while helped me. Also, lots of patience, it heals slowly. Rest it and gently try to return to your full range of motion. Good luck. I had this last summer, it turned out to be tendonitis. It hurt like hell, I was convinced it was something terrible. I went to PT for a month and it is all better. Aleve helped a lot. They said no calcification? Cause your description sounds exactly like the calcific tendonitis (in my rotator cuff) I had earlier this year. I had mine flushed out & got a cortisone shot, and got some exercises to strengthen it. So far so good. Topical anti-inflammatory cream is great on the shoulder - everything is right there near the surface. Also ibuprofen, ice, and not sleeping on your side are good. The shoulder is complex, and it could be a lot of things, most of which would not show up on an x-ray. Conservative treatment is to rest it, and do the exercises linked above as long as they cause no pain at all. Very gentle stretching, again as long as it causes zero pain. Another vote here for ice instead of heat. My PT says that generally speaking, if it feels tight you want to put heat on it, but if it's sore you want to ice it. Heat may feel really good in the near term, but it can worsen inflammation. is the pain that travels to your tricep a sharp shooting pain, a dull spreading ache, or a zingy sort of pins and needles pain? This does sound a lot like a rotator cuff injury or tendinitis. In my experience, there isn't much but conservative management to deal with the immediate pain: rest, painkillers, and ice. In the long run, PT will help you restrengthen those muscles, hopefully to avoid a recurring injury. Massage? How much it would help would vary both on what the problem is and on the type of massage and talent of the therapist. Look around for someone really good if you go this route. For pain relief, does tiger balm or similar help? There are TB-type patches you can wear if the smell is a problem. You might want look up Frozen Shoulder, eg on Mayo website. FS has three stages: frezing, which is the painful part, frozen - the immobile part, folloed by thawing, return of mobility. I am on the phone so no link. I was diagnosed with frozen shoulder two months ago, after 6 months of pain and ever increasing immobility. Could not longer dress or wash etc properly. The PCP basically shrugged it off, prescribed painkillers . They said typically it last 2-3 yrs and goes away by itself. I was speechless as i begun to have problem with personal hygiene dou to the immobility. The shoulder definitely has moved to stage 3, thawing, much earler than pcp projected. If you can, get a second opinion. I went to all those lengths (as a single person), and it made a massive difference in my ability to function vs not. If that seems like a lot of buying for a hopefully short time, maybe ask friends if they've got things you could borrow just until the shoulder's better. Kitty litter - Would ask for help with that or buy in smaller amounts. I asked for PT and have had several sessions. The pain is better but not gone. My PCP's office called me today and said the therapist had contacted them to ask if I was scheduled for any scans. It didn't make sense to me or the therapist why they'd schedule an appointment with an orthopedist but not give him/her anything to look at. The person on the phone said the PCP would order a CT Scan. But from my research online, MRIs are usually used because they provide a better image of soft tissues. Should I request an MRI instead? If the pain is better, why not just continue with the PT/continue doing exercises on your own? It took a number of weeks if not a number of months for my pain to fully go away, but I no longer have pain in my shoulder when raising my arm over my head. I was able to carry a 10 foot Christmas tree over my head last week without any pain, less than two years after I couldn't pick my hand over my shoulder without my shoulder hurting. 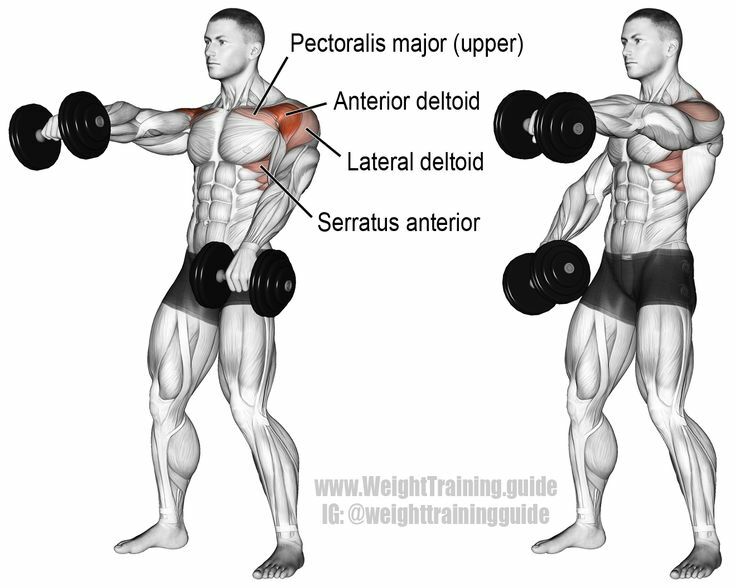 Strengthening the muscles of the rotator cuff/serratus takes time. Good luck!